Unison was formed by Robert Segal + Alicia Rosauer with the vision that modern design can be a livable, breathable, everyday part of life. After four years of designing and living in Finland, they decided to bring their design sensibilities back to America. 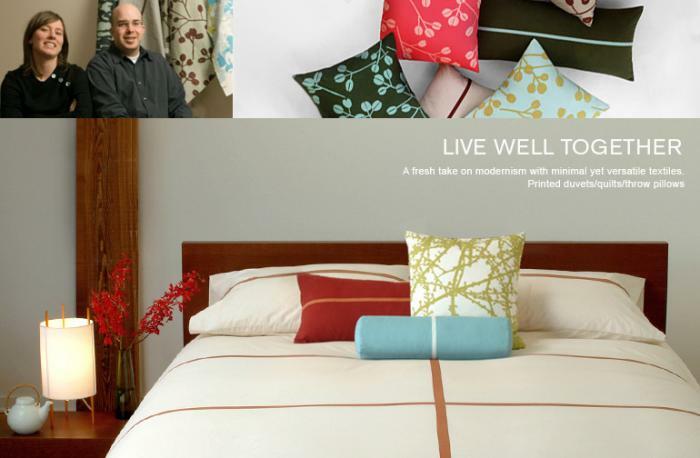 Robert and Alicia combine their extensive background of textile design and photography to create products that offer a minimalist style with emphasis on color and innovative print design.